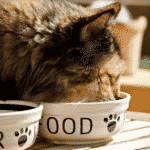 The Ultimate & Training Tips Blog – Dogs, Cats, Rodents – You Name It, we have it! Taking care of pet mice can be an ordeal. Let us make your life easier with this guide to mouse water bottles and mouse water bottle reviews. 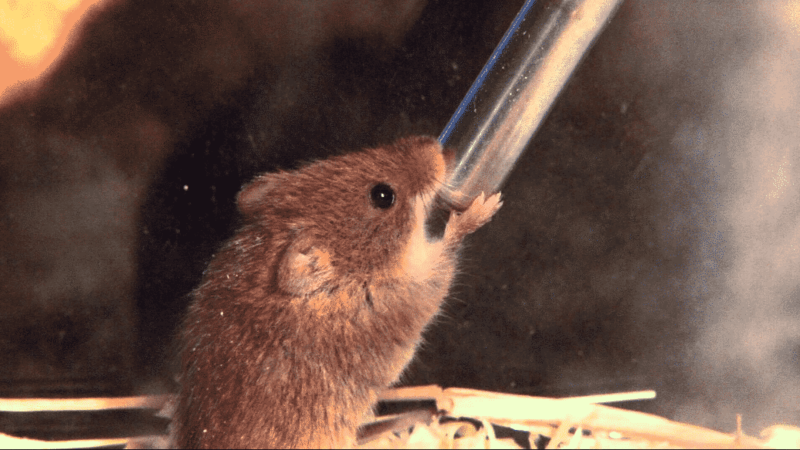 Hydration is an essential part of maintaining mouse health, and a good water bottle for your mouse will make all the difference. A good water bottle should be cage-compatible, which means that it should mount easily, fit the cage bars, and match your aesthetic. Cage-compatibility is a large factor in selecting a water bottle, if if you get the best mouse cage but the bottle isn’t compatible, it will be a hassle to maintain and might not even work at all. A good water bottle should also allow for good visibility of the water inside. This can be offered by either a fully-transparent or semi-transparent water bottle. Good visibility is a great help in making sure that your mice’s needs are always tended to properly. A transparent bottle allows for easy monitoring of the water level, ensuring that you fill/change the water at proper intervals. In addition, transparency will allow you to check if air bubbles are rising from the bottom, a good indicator that the bottle is working properly and your mice are drinking from the spout correctly. If you can see that these air bubbles aren’t flowing properly when your mouse tries to drink, you can fix or replace the water bottle in a timely manner. 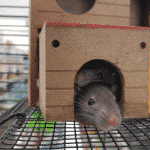 A water bottle with a greater capacity will go longer without needing to be changed, and it will also allow you to support more mice in a single cage. However, more capacity means a larger footprint, and this can affect cage-compatibility. You also wouldn’t want to overshoot the capacity needed to support your mice, or you might overpay for a large water bottle while you only needed a medium or small bottle. Finding the perfect balance is the key to finding the best mouse water bottle for you. The Choco Nose H125 is an excellent all-around bottle for use with mice. It holds a respectable 330ml of water, and comes with brackets for both screw-on and nail-on mounts to fit with a variety of cages. The brackets allow the user to attach and detach the water bottle with a snap of the plastic bracket no matter which type of mount you use, making it a strong pick for ease of maintenance. The bottle is completely transparent, allowing for great visibility, and comes in two colors, mint and blue, to suit a variety of cage aesthetics. The no-drip design really works, and even with rocking of the cage, water stays in the bottle. Most other bottles empty quickly because water is lost to drippage, but because this bottle doesn’t leak at all, meaning that it requires less frequent maintenance. A small handful of users have reported issues where the ball in the nozzle gets stuck, but these hang-ups are few and far between. For this model, the pros outweigh the often non-existent cons. The Choco Nose H128 is pretty much the same as the aforementioned H125, but for a larger pet. It has almost the exact same set of features in the same quality, however, the nozzle is about twice the length, allowing it to be mounted in larger cages, higher off the ground to prevent roughage from larger species of rodent pets. However, this also means that it takes up more space in a cage, so if you have smaller animals with a smaller cage, the H125 is a better choice for you. As a nice added touch, it comes in pink as well as the mint and blue of the H125 to aesthetically fit a wider range of cages. The Alfie Pet is a bottle and then some. It comes with its own weighted ceramic stand so you can forego the hassle of having to hang your bottle. This makes it perfect for use with both tanks and cages, and allows for easy maintenance as well since there are no wires or screws to fiddle around with. The stand also doubles as a small hideout for your pet to cozy up in. If your habitat is lacking a shelter, then this water bottle will serve as a great resting spot as well as a drinking station. It holds 80ml of water, which is less than the Choco Nose models, but still holds up against most of the other competition. Though it might not be as well-rounded, it definitely shines in a fair amount of niche situations. This water bottle comes with a stand which doubles as a shelter. However, this shelter/bottle combo is much smaller, meaning that it is best used with particularly small pets. It holds the same amount of water as the Alfie Pet bottle, but this model is much lighter because of its plastic base. This makes it a good choice for the smallest pets, but medium sized rodents, or even a group of small rodents could topple it easily. The nozzle is also even lower to the ground, so much that it can cause issues where the tip becomes buried under the surrounding bedding material. This can require special planning or care to circumvent, but the extra effort might be worth it if the bottle fits your special needs. This bottle has a suite of good qualities, but the negatives can confine it to a niche choice. It is by no means a bad bottle, but unless your situation specifically fits the strong points of this small, light bottle, you’re probably better off picking a bottle suited to a wider-range of usage. This classic, minimalist water bottle is designed to hang from either the top of the cage or to be tied to the side. It works well for pets of all sizes, since the hanging height can be adjusted by simply changing the way you tie the wire to the top of the cage. It is fundamentally a great bottle with clean design and good form-factor. It even comes in 2 sizes (5 and 10 oz.) to help you find the right fit for your cage. However, it should be noted that it doesn’t work as well with unusual enclosures such as tanks or aquariums. It also suffers from some questionable quality control, as some bottles are said to work perfectly, but others have minor manufacturing errors that cause significant leakage. Some have also complained about the durability of the bottle, and larger mice or rodents could possibly chew through portions of the bottle. All-in-all not the strongest choice, but a good option if your circumstances require the flexibility in fixture style and size. This water bottle is definitely the best looking of the bunch, sporting a nice blue bottle and classy olive bracket. The bracket is of a simple, yet efficient design, easily affixing to most normal cages with a tie through the hanger loop. The design is sturdy and holds up well to most small rodents. The rounded shape is designed to discourage chewing and increase the longevity of the product. The nozzle is well made with very few reports of leakage, and bottles that do leak only release a small amount of excess water. Carol is a head content developer for ultimatepethub.com and mother of 2 adorable chocolate labs(and one child). Growing up on a farm, she has handled all kinds of animals and pets. When Carol isn’t taking her two labs to the park, you can find her researching products and topics to keep you updated with the latest info for your pets! Why Do Cats Bring Dead Animals Home? It is important to also note that ultimatepethub.com is a participant in the Amazon Services LLC Associates Program, an affiliate advertising program designed to provide a means for sites to earn advertising fees by advertising and linking to Amazon.com and its partnered brands/websites..
2019 ultiamtepethub.com. All rights reserved.